May 2019 is some time away, but somewhat frenzied attempts seem to have begun to find another constituency for Prime Minister Modi away from Varanasi. May 2019 is some time away, but somewhat frenzied attempts seem to have begun to find another constituency for Prime Minister Modi away from Varanasi. The top echelons of the BJP are calm, but a mini storm is raging outside. Puri in Odisha is being touted as an alternative, apparently because the BJP is expected to do well in the state and the PM contesting would give his party a boost. The speculation got so intense in Karnataka that B S Yeddyurappa had to issue a denial that the PM had any plan of shifting base there. If he decides to shift constituency, it will be nowhere but Gujarat, a local BJP neta claims. Patna Sahib was also thrown up as an option. The reigning star of Patna Sahib, ‘Shotgun’ Sinha, may become a Banarasi Babu with a little help from Akhilesh Yadav’s Samajwadi Party, just to give the PM a tough contest! Meanwhile, Arun Jaitley’s recent Rae Bareli liaison may be a curtain-raiser for another anticipated contest. Needs to be seen if Sonia Gandhi calls it a day or gets down to a good fight. The meeting of revolutionary Telugu poet Gaddar with Congress president Rahul Gandhi has raised eyebrows, particularly among those who’ve been carping about #UrbanNaxals. Gaddar himself seems least bothered about such perceptions. Instead, he claims, he would contest as an independent against Chief Minister KCR, obviously with the support of the Congress, the Left and the TDP, if and when the alliance takes off from the drawing board. The meeting was to solicit support in the fight ‘to save the Constitution’. Gaddar claimed he would act as a bridge between the secularists and the Marxists, and travel with RG to the poorest parts of Chhattisgarh. RaGa limited his response to his wish to hear Gaddar sing revolutionary songs. In the vortex of the #MeToo storm, External Affairs junior minister M J Akbar’s future in government is under watch. What course he himself takes and what the government and the BJP do after he lands back from his tour abroad has been discussed from infinite angles. There’s palpable discomfort in the party and among his Cabinet colleagues. However, the media may have jumped the gun by demanding his exit. Giving in may open a Pandora’s Box. The incidents date from his time in the media! Also, #MeToo is being seen as an ‘urban’ woman’s issue with little traction beyond the big cities. Despite its swanky new mansion, the quaint old 10 Ashoka Road continues to be the functional war-room of the BJP. The reason seems to be not just the logistical difficulty of housing hundreds of young IT professionals—the backroom boys and girls—in the exclusive new party HQ, but also astrological. It seems BJP chief Amit Shah has been advised not to anchor the campaign for 2019 from the new building, the vaastu of which is not kosher. So good old Ashoka Road cannot be given up! Since the Congress looks upbeat in Rajasthan, who will get the CM’s chair is a matter of much discussion. 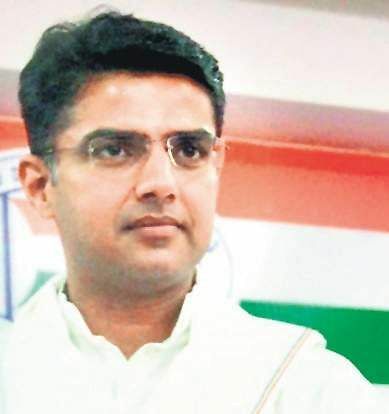 PCC chief Sachin Pilot has been slogging in the state since 2014, but former CM Ashok Gehlot has a far greater recall value, particularly in rural Rajasthan. To ensure the party does not get divided, the two have been going on bike rides, with Pilot driving and Gehlot riding pillion, hands on the shoulder of the younger leader. However, Rahul Gandhi seems to be veering towards making his tilt towards Pilot public.